Fixed annuity strategies provide full principal protection from market downturns and completely limit your stock market risk. Fixed rate annuities are CD-like investments issued by insurance companies. They pay guaranteed rates of interest, in many cases higher than bank CDs, but taxes on interest earned are deferred until you take your money out. Currently contracts are available between 2 and 10 years. Fixed index annuities provide the benefits of fixed annuities, combined with the opportunity to earn interest based on changes in an external market index. They have a call option attached to an index like the S&P 500, Nasdaq or Dow Jones, but because you’re not actually participating in the market, the money in your annuity (your “principal”) is not at risk. Fixed annuities protect against the risk of outliving your income. They are backed by insurance companies up to the policy limits, similar to how your home, auto or health is insured. Rates are locked in one year at a time, which gives you the opportunity to take advantage of rising interest rates. Immediate annuities provide guaranteed income for as long as you live and help protect against the risk of outliving your savings. Income payments from annuities can start immediately or at a specific time in the future you choose. The two basic choices are to start receiving your income now or later. Immediate annuities, are pretty straightforward – basically a mirror image of a life insurance policy. Instead of you paying premiums to the insurer that for a lump-sum payment upon your death, with an annuity you give the insurer the cash upfront in exchange for regular income payments until you die. (Actually, you have several options, including payments for a specified period of time – say, 10 or 20 years – or payments that will continue for as long as you or your spouse is alive.) As the name suggests, immediate annuities start paying out right away, so they’re are frequently used by people already in retirement. A deferred annuity can also be converted into an immediate annuity. Many FIAs offer optional income riders which can provide payouts starting right away. 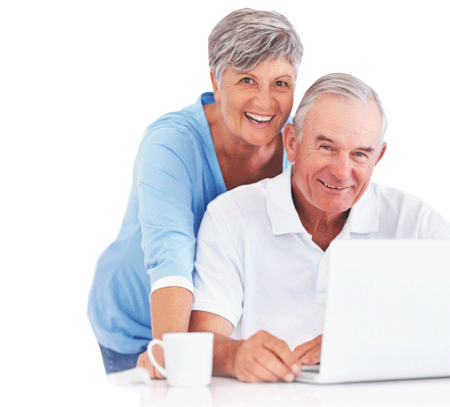 Annuities can be structured to provide income later in life. This allows you to know exactly what your contractually guaranteed lifetime income payments will be. Also referred to as Longevity Annuities, these simple strategies have no annual fees, and can be deferred as short as 2 years up to as long as 45 years. In exchange for an upfront premium payment, the purchaser receives a monthly income for life that begins after a deferral period. An Income Riders is an optional benefit that can be attached to an annuity for an additional annual fee. It will provide a lifetime income stream that you can start at a specific time in the future. Legacy planning allows you to maintain control of your beneficiary’s inheritance even after you’re gone. You can have the power to say how or when your annuity assets will be passed on. For example, if your beneficiaries may not know how to manage a lump-sum inheritance. You can tailor different distribution plans for each beneficiary—depending on their age, financial savvy, or other needs. With some insurance companies, you can attach a death benefit rider to your annuity that can be used for legacy planning. These death benefit riders grow and compound year over year, and for a guaranteed period of time. There is no underwriting required and issue is guaranteed. Also referred to as Longevity Annuities, these simple strategies have no annual fees, and can be deferred up to as long as 45 years. By naming your child or grandchild as the beneficiary, they can receive lifetime income payments starting at the age you decide. An estate planning strategy that is used to extend the an Individual Retirement Account (IRA) across multiple generations. A stretch IRA allows the original beneficiary of an IRA to distribute assets to a designated second, third, or even fourth generation beneficiary. With this strategy, the IRA can be passed on from generation to generation while your beneficiaries receive tax-deferred and/or tax-free growth as long as possible. When your turn 70½, whether you need the money or not, the IRS will tap you on the shoulder and start making you take money out of your traditional IRA. You can offset these Required Minimum Distributions by implementing a unique and simple strategy. If you have money in an IRA that you don’t plan on needing to live on in retirement. You can take your required minimum distribution (RMD) and reinvest it into an annuity for growth and legacy. This information is not intended or written to be used as investing, legal, or tax advice. It was written solely to provide general information and support the sale of annuity products. A taxpayer cannot use it for the purpose of avoiding penalties that may be imposed under the tax laws. You should seek advice on investing, legal, or tax questions based on your particular circumstances from an independent financial professional, attorney, or tax advisor.